We are delighted to welcome back author Joe Cosentino to Omnimystery News today. Joe has a new mystery published this week, Porcelain Doll (The Wild Rose Press; March 2016 trade paperback and ebook formats), the second in his Jana Lane series, and we recently caught up with him to talk more about his work. Omnimystery News: How did you get started writing mysteries? Joe Cosentino: After college, I became an actor in film, television, and theatre, working opposite stars like Bruce Willis, Nathan Lane, Rosie O'Donnell, Holland Taylor, and Jason Robards. Morphing into writing plays and now novels seem like the perfect progression. After writing some plays, I knew my novels would include show business in some way, since show business has always been such a huge part of my life. As an avid mystery reader, it was clear to me that my novels would also be page-turning mysteries with clever plot twists, engaging characters, romance, and lots of clues leading to a surprising conclusion. Since coming from a funny Italian-American family, I also knew humor would play a role in my novels. OMN: You won the Divine Magazine 2015 Readers' Poll Awards for Best Mystery, Best Crime, Best Contemporary, and Best Humor novel with Drama Queen, the first Nicky and Noah mystery published by Lethe Press. That's quite an accomplishment! JC: I am so proud of those four awards. It makes all the hours in front of the computer worth it. Well, maybe. Hah. Seriously, I am so incredibly gratified and touched that the readers have embraced that novel, and also Drama Muscle, the second Nicky and Noah mystery. OMN: Tell us a little more about that series. JC: Since I am a college theatre professor/department head, and theatre departments are havens of mystery, secrets, romance, and high humor; the series takes place at an Edwardian style New England college. In Drama Queen theatre college professors are dropping like stage curtains. With the inept local detectives, it is up to Directing professor, Nicky Abbondanza to use his theatre skills (including playing other people) to solve the murders, while he directs a murder mystery onstage. Complicating matters is Nicky's crush on Assistant Professor of Acting, handsome Noah Oliver, the prime suspect in the murder. In Drama Muscle Nicky and Noah have to use their theatre skills to find out why musclemen are dropping like weights in the Physical Education department while Nicky directs the Student Bodybuilding Competition. In Drama Cruise (not released yet), Nicky and Noah go on a cruise to Alaska, and discover why college theatre professors are going overboard like lifeboats while Nicky directs a murder mystery dinner theatre show onboard ship. OMN: You have a new mystery being published this week, Porcelain Doll, the second mystery to feature Jana Lane. Tell us more about this series. JC: As a child I loved child stars like Shirley Temple, Hayley Mills, and Patty Duke, seeing their movies over and over. So I created a heroine who was the biggest child star ever until she was attacked on the studio lot at eighteen years old. In Paper Doll the secret behind that attack is exposed. And as with the Nicky and Noah mysteries, each book can be read on its own or as part of the series. In Porcelain Doll, it is 1982 and Jana is thirty-nine years old, living in a mansion in Hyde Park, New York. Jana makes a comeback film and uncovers who is being murdered on the set and why. Her heart is set aflutter by her incredibly gorgeous co-star, America's heartthrob Jason Apollo. The other suspects include Jana's James Dean type young co-star, her older John Wayne type co-star, her children's Eve Harrington type nanny, the film's gossipy makeup and hair artist, a local reverend trying to stop the film's production, and Jason's agent. In Satin Doll (not yet released), Jana and family head to Washington, DC, where Jana plays a US senator in a new film, and becomes embroiled in a murder and corruption at the senate chamber. She also embarks on a romance with Chris Bruno, the ex-professional football player detective. In China Doll (not yet released), Jana heads to New York City to star in a Broadway play, enchanted by her gorgeous co-star Peter Stevens, and faced with murder on stage and off. Through the course of the books, Jana not only solves the mysteries, but also reclaims the courage and fortitude she had as a child. This is an important message for all of us. As one reviewer wrote, she starts out as a wounded bird, and ends as tiger. OMN: Who is your favorite character in Porcelain Doll … and why? JC: Jana's agent, Simon, is my favorite character for five reasons. He is amazingly resilient, old world Hollywood, incredibly funny, loyal to Jana, and most importantly, I want to play him in the movie version! OMN: Which one of your characters was the hardest one to write? JC: Reverend Charlton, the reverend protesting Jana's film, was difficult to write since he is so frightening. I could never understand why some people use religion to try to attack and demonize others. OMN: Do you think Christians will be offended by his character? JC: I sure hope not. Jana is a Christian who prays and goes to church on Sundays. She seems like a true Christian to me since she tries to love her neighbor as herself, not judge others, and help the downtrodden and outcasts. Reverend Charlton doesn't seem very Christian to me since he uses his power and wealth to demean others. OMN: Which one of your characters did you enjoy writing the most? OMN: Did you use your background as an actor to write Porcelain Doll? JC: Definitely! As one reviewer of Paper Doll wrote, I used my knowledge of show business to devilish ends. Actually, I used my background in each of the Jana Lane novels, since I know the ins and outs on a movie set. Thankfully nobody was murdered on my sets. OMN: Why did you set the books in the 1980s? JC: I love the music, hair styles, clothing, and decadence of that era. I had great fun writing about Jana's mansion, wardrobe, makeup, and hairstyles. I was also able to incorporate some of the music, films, television shows, Broadway shows, and political and social events of the era, including the AIDS epidemic. 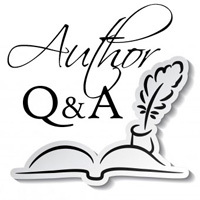 OMN: What are the difficulties in writing a series? JC: On the positive side, the leading characters are so real to me, each book is like visiting with old friends. I love Jana and I enjoy every moment with her. On the negative side, for continuity I need to keep a notebook full of information on each character and the various repeat locations — i.e. every room in Jana's Hyde Park mansion. OMN: What advice would you give to other writers in your genre? JC: I love reading and writing stories with engaging characters who I want to spend time with. Just as I did improvisation as an actor, I recommend letting your characters talk to one another and seeing what happens! An outline is simply an outline. Don't be afraid to deviate from it. Also, I prefer mystery novels that drop lots of clues leading to the murderer. I also recommend incorporating many other characters with secrets into the story. A writer should create an entire world of suspense above and beyond "who done it." When a reader finishes a book, he/she should be satisfied that the various parts equaled the whole, rather than the author pulling an ending out of the hat. Finally, don't forget the humor and romance! OMN: What are you writing now? JC: Ragdoll, the next Jana Lane mystery, where Jana stars in a TV murder mystery series. You guessed it! Life imitates art yet again. Actor, playwright, and author Joe Cosentino received his MFA from Goddard College in Vermont, and MA from SUNY New Paltz. He is currently Head of the Department/Professor at a college in upstate New York. For more information about the author, please visit his website at website and his author page on Goodreads, or find him on Facebook and Twitter. — Porcelain Doll by Joe Cosentino. Click here to take a Look Inside the book.